Bungeoppang...most wouldnt even know what that even is. To be truthful I didnt either when when I had some for the first time. Its a Korean desert food where the outside is like that of a cake-like(?) consistency where as the inside is filled with icecreamy goodness. 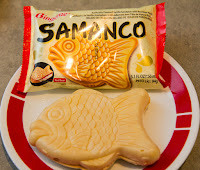 Also there is red bean paste inside which is equally as good. When I heard about the bean paste I was all like "ewww beans" but Loli-chan made me try it after much debate. After eating one (more like 10) I see now that they have a great taste for an afternoon snack or before bed delight. 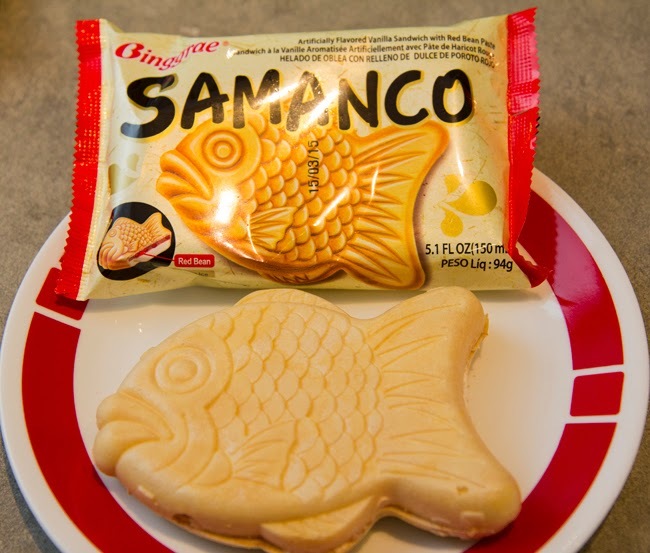 As far as getting your hands on these I can only recommend heading to a local Korean market or at the least asking around and see if anyone has heard of this treat. You have that "Ranzignus trustworthiness" that you wont go wrong with getting some of these. If you guys have any other tasty delights you want others to catch wind of, make sure to leave'em in the comments below!